today. 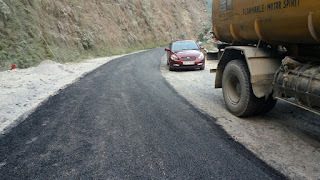 NH 10 is termed as the lifeline of Kalimpong and land locked hilly state, Sikkim. It is to be noted here that this year as monsoon struck the commuters were having a harrowing time to take the highway through Kalimpong and Sikkim. 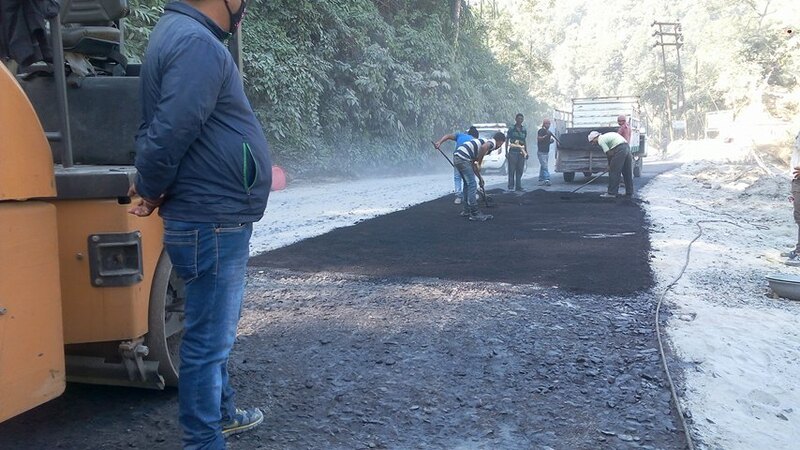 The most damaged area from 0 - 4.5 kms starting from Coronation Bridge to Basua to Kalijhora , Swetijhora ,Bhuichaley, Lohapul, 27th Mile and Likubeer had no Bitumen, thus carpeting along those places has started. Meanwhile, Pradhan informed that a 35 crore project has been sanctioned for NH10 after which the tender procedure has started. “The stretch from 0kms to 4.5kms and at 14-28 kms, works of repairing, surfacing, drainage,modifying 18 existing narrow culvert and putting crass barrier along with mastic roads in market areas at Lohapul, 27 mile will fall under the project”, he informed. 0 Respones to "Repair work along NH 10 begins, commuters delighted"